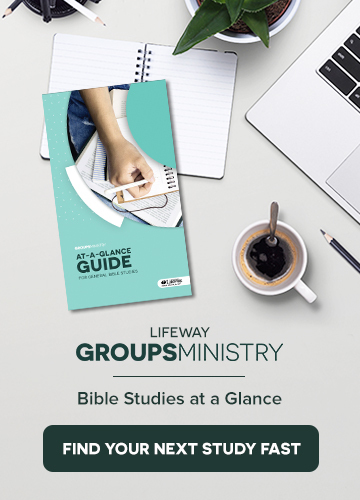 Whether we’re talking about Sunday School classes or home groups, gender-based Bible study groups, community groups, or life groups, one thing holds true—groups matter, and they are a foundational aspect of every church’s ministry. However, if you ask the people in your church why groups matter, you’ll get a wide variety of responses. We need community. We need to study the Bible more deeply. 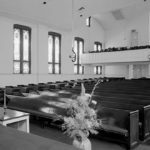 We need to spend time reflecting on the pastor’s sermon. We need to multiply. No? That last one may not be the most common response heard; in fact, it may not be on people’s radars at all. It should be, though, because multiplication is at the heart of discipleship, and discipleship is the ultimate purpose of group ministry. Before Jesus wrapped up His earthly ministry, He left His disciples with a very clear mission: “Go, therefore, and make disciples of all nations, baptizing them in the name of the Father and of the Son and of the Holy Spirit, teaching them to observe everything I have commanded you. And remember, I am with you always, to the end of the age” (Matt. 28:19-20). In a nutshell, the mission of the church is to make disciples who make disciples. This is God’s own design for how the gospel spreads. If the goal of a church is to glorify God by making disciples who make disciples, then it begins with first being a disciple. This means you desire to know God more and know His will for your life. As you seek to know Christ more, the Bible is your central source of nourishment and truth. Groups provide followers of Christ with the opportunity to dig into Scripture in the company of other believers who bring insight and wisdom that helps each other grow. That is a wonderful benefit of group ministry. However, if all we expect out of our groups is individual growth, then we’re only living out half of Jesus’ mission. The other half of the mission says we desire to help other people come to know Jesus and grow in their understanding of Him, too. The clearest gauge of whether your groups are living out the Great Commission is if they are multiplying. Do your Sunday School classes burst at the seams by the end of the year? Do you have home groups who have outgrown the homes? Are you aware of neighborhoods in your community that don’t have a community group presence? Do you have new leaders who are ready to start their own group? These are all indicators that it’s time for your groups to multiply. But remember: Group multiplication doesn’t happen easily, nor does it happen overnight. By nature of the way small groups are designed, it’s challenging to get people to multiply. Groups feel personal, intimate bonds are formed, and people often feel protective of their groups. The goal of multiplication must be clearly communicated from the get-go in order for you to have buy-in and participation from your group members. It must be in the very fabric of your group ministry. Furthermore, multiplication takes time. It may be years before you have a group that has added enough members that it needs to multiply—and that’s fine! Each new addition is a disciple multiplied and a win for the kingdom. If multiplication is a known focus of your groups, then growth will happen. Luckily, we get to focus on discipleship, and let God worry about the numbers. This is the most write up I have seen on small group. thank you Laura.